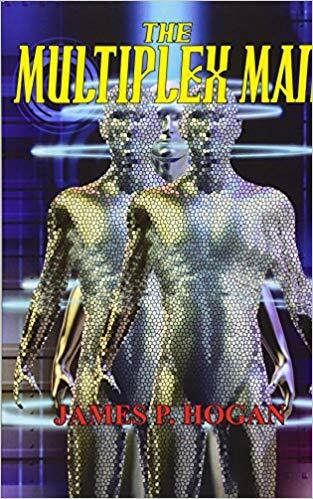 The ebook version of James Hogan’s novel The Multiplex Man, which won the Prometheus Award in 1993, has been put on sale for $1.99. The sale is only through Monday, so if you want it, act fast. I’ve just grabbed my own copy. Each week, Publisher’s Pick offers three deals on SF books, often for big name authors (the other two authors this week are Mike Resnick and Kevin J. Anderson.) You can sign up for an email bulletin on the latest sale, sent out every Wednesday. ​Heinlein wrote this as an alternate text for The Number of the THE NUMBER OF THE BEAST. This text of approximately 185,000 words largely mirrors the first third of the published text, but then deviates completely with an entirely different story-line and ending. ​This newly reconstructed text also pays extensive homage to two authors Heinlein himself admired: Edgar Rice Burroughs and E. E. “Doc” Smith, who became a good friend. Heinlein dedicated his book METHUSELAH’S CHILDREN to Smith, and partially dedicated FRIDAY to Smith’s daughter, Verna. ​The alternate text, especially the ending, is much more in line with traditional Heinlein books, and moves away from many of the controversial aspects of the published THE NUMBER OF THE BEAST. ​There has been speculation over the years about a possible alternate text, and the reason it was written, particularly since one book is not just a redo of the other ─ these are two completely different books. ​It is possible that Heinlein was having fun with the text as THE NUMBER OF THE BEAST and the new book both deal with parallel universes. Given his sense of humor, it would not be surprising for Heinlein to have written two parallel texts for a book about parallel universes. ​The new book was pieced together from notes and typed manuscript pages left behind by the author. It is currently under editorial review by award-winning editor, Patrick LoBrutto . ​Phoenix Pick expects to publish both THE NUMBER OF THE BEAST and the new book, tentatively titled SIX-SIX-SIX, just ahead of this year’s holiday season. ​The Heinlein Prize Trust manages most of Robert A. Heinlein’s literary assets and is purposed to encourage and reward progress in commercial space activities. It also publishes the deluxe 46 volume collectors set of the complete works of Robert A. Heinlein known as the Virginia Edition. ​Phoenix Pick is the science fiction and fantasy imprint of Arc Manor Publishers. It publishes some of the top names in science fiction and fantasy including Larry Niven, Mercedes Lackey, Eric Flint, Harry Turtledove and many others. It also publishes the bi-monthly magazine GALAXY’S EDGE.